We had a great FCAG meeting last evening with a terrific presentation by Kathy Holley. 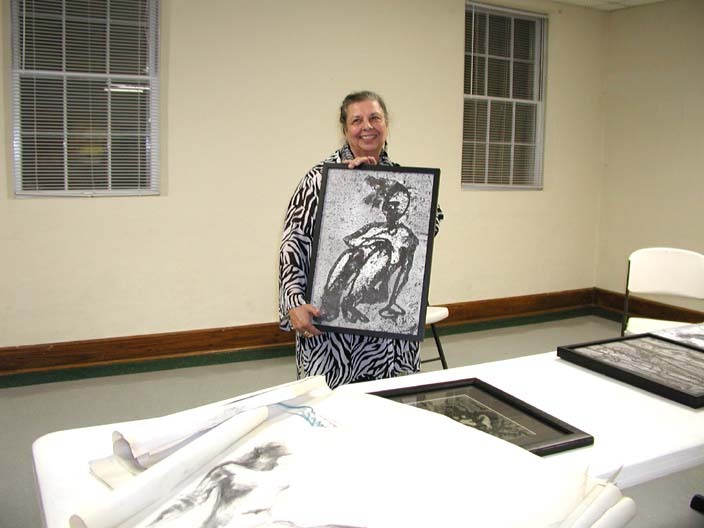 Kathy is an accomplished artist, now retired as a former art teacher from Franklin County High School. She presented drawings and paintings focusing on the figure, some of which were created during her studies in Venice, Italy while attending New York University. Kathy’s art is contemporary in style and sometimes has an ethereal quality to it that draws the viewer in to explore deeper messages.